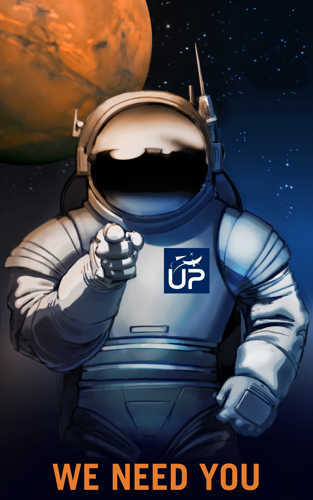 Our next SpaceUp will be held on February 4 and 5, 2017. It will take place at ISAE-SUPAERO in Toulouse, France. 2 days for 25€dedicated to Space. Register now ! If you’ve never participated to a SpaceUp before, you may want to know a bit more about this kind of event. A SpaceUp is called an unconference, because it’s the opposite of a conference: no speaker, no public, but everybody becomes speaker and public during the week-end. You make the event! Practically speaking, the week-end will be organised around presentations made by the participants, in different rooms : some of them are 5 minutes long, the other are 5 to 15 minutes followed by discussion, everything is quite free within the schedule. During the week-end, we also have some invited guest speakers who will share their experience of the space sector. 2 days for 25€dedicated to Space. by the participants. Register now !